White smoke has emerged from the bowels of JetBlue Park in Fort Myers, Florida. We have a DH! At a formal press conference this morning, J.D. 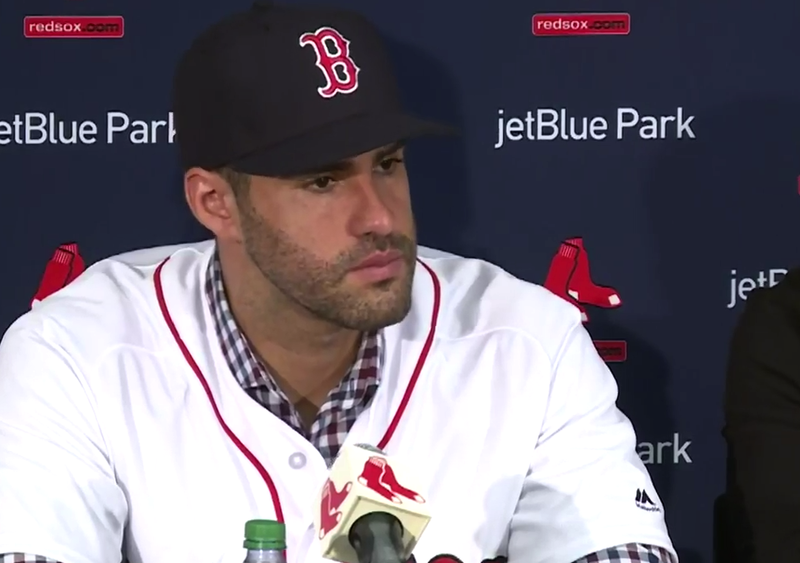 Martinez was introduced to the media with the new Red Sox star starting that he has been healthy since last May. Little light was shed on the exact medical issue that held up the formal signing of the contract—but what do you expect from the Red Sox? Anyway, the void in the Red Sox lineup should now be filled by a guy who clouted 45 HRs last year between Detroit and Arizona.